John received his BA from Drake University in 1982 and his MD from the University of Health Sciences/ The Chicago Medical School in 1986. He completed his Emergency Medicine Residency at Christ Hospital and Medical Center in 1989 where he spent his final year as Chief Resident. 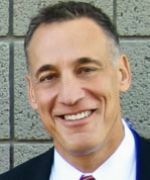 John received his MBA in 1995, and his Juris Doctorate in 2005, both from Arizona State University. He is admitted to the State Bar in Arizona, the Federal District Court, and Supreme Court of the United States. His certifications include Fellow, American Board of Emergency Medicine, Fellow, College of Legal Medicine, and American College of Emergency Physicians. He founded NextCare Inc. in 1993 as well as numerous other health and non-health care businesses. He served as NextCare's Chief Executive Officer and Chairman of the Board until 2010. Under John's leadership, NextCare grew from a single clinic to fifty-eight clinics in six states with annualized revenue of nearly 100 Million Dollars. He is the business manager and one of the founding partners of Empower Emergency Physicians and continues to practice emergency medicine on a part time basis at St. Joseph's Hospital and Medical Center. After spending 17 years growing an urgent care company he realized that health care's new frontier was treating patients virtually. In 2010, John stepped away from NextCare and founded MeMD, LLC; Health Care Virtually Anywhere. At present, MeMD's SAS model is used by more than 200 providers in 38 states to virtually treat patients' on-demand and without them having to leave their residence or place of work. ​John has authored and co-authored books on Children's Emergencies and Contract Issues for Emergency Medicine Physicians. He writes and lectures on a variety of subject matters to graduate medical, business and law students. He is the Health Law Editor and on the Advisory Board for the Journal of Urgent Care Medicine and was the Editor in Chief of Urgent Care Alert and ED Legal Bulletin. He is an adjunct professor at the Arizona State University, W.P. Carey School of Business where he teaches Health Law and Ethics to MBA and Health Sector Management students and is an adjunct professor at the Sandra Day O'Connor College of law where he teaches a seminar on Health Law Entrepreneurism. He is President of the Board of the Men's Anti-violence Network, is a Founding Member of Urgent Care Association Foundation Board, and serves on the Drake University Board of Trustees and the Sandra Day O'Conner College of Law Alumni Board.